We recommend purchasing pre-paid parking passes online for both Golden 1 Center events and Kings games through the City of Sacramento via the SacPark website. Parking garages associated with Golden 1 Center are scheduled to open two (2) hours prior to the start of the event or tipoff. Sit back, relax and let SacRT do the driving. 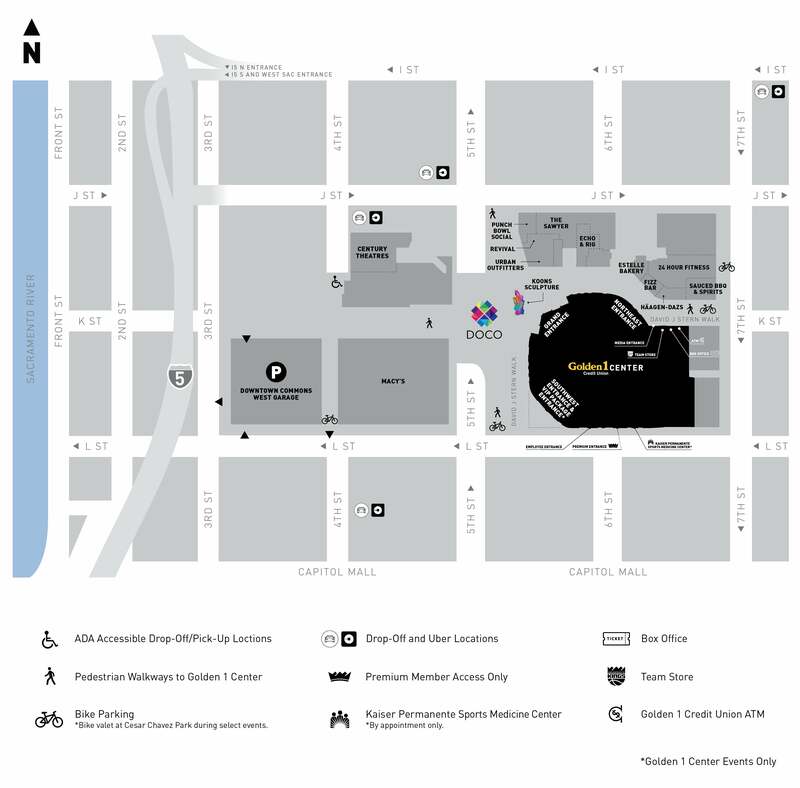 With multiple light rail stations within a block of the arena, SacRT is your family-friendly way to get to Golden 1 Center events and Kings games. Click here for information on light rail and bus transportation to and from Golden 1 Center.